'Hair Mineral Analysis' is a laboratory-screening test that measures the trace element and mineral content status of a hair sample. Getting a specialist understanding of what your body's needs are is easy, with hair mineral analysis testing; the kit can provide many benefits; for example, with this Test for heavy metals I learned first-hand about poisoning from mercury, when I discovered it had leached in to my body from amalgam fillings. My experience is that it is very simple to perform; a hair mineral analysis test reveals mineral deficiencies, however, most people don’t realise how well it provides insights in to how you can increase energy levels and cognitive performance, if you know how to interpret it. Minerals are essential for maintaining your existence; Hair mineral analysis reveals and explains how chemical toxicity, minerals and nutritional deficiencies and imbalances can influence your health. Tests with support from one of the people who really knows how to check your hair minerals to see if they are high or low, measure nutrient mineral levels and who explains why, a nutritionist. This sophisticated home test offers you and your family the very best way to keep track of your mineral state. Successfully monitor mineral supplementation to reach your full potential with this test in the UK for hair mineral analysis. Hair tissue mineral analysis (HTMA): evaluating the proportion of nutrient minerals and their relative ratios, how they influence the body’s cell functions and have a drastic effect on bodily performance and mental capabilities. The objectives of the HTMA as a report: Hair analysis is a test for evaluating a sample of human hair from the back of the head; it is mailed to a laboratory for measurement of the trace element and mineral levels. Afterwards you monitor the benefits of specific supplementation to balance the body’s chemistry and enhance cell performance with periodic rechecks. Evaluation: how best to interpret and understand the charts is easy, the results from the laboratory test provide you with a detailed, quantitative visual graph. Having now seen clearly each category analysed, to gauge the nutritional, additional and toxic elements becomes easy, with each exposed in their own table. What can a hair mineral analysis test reveal? The symptoms of a depleted minerals and toxic elements in the body are varied; they can play a part in a number of biological processes. This is by no means a complete and comprehensive list of disorders affected by minerals and toxins, but gives you an indication. You can instantly discover the benefits other people have experienced, by reading our trusted hair test for minerals customer feedback. Adjusting the metabolism can help burn fat (weight loss). Enhanced and improved cognitive function. Promote feelings of increased physical energy and emotional well-being. Detect food sensitivity and food intolerances. Regulate or improve endocrine activity, muscular functions, enzyme activity, cellular metabolism, nerve conduction, alkaline balance, skeletal integrity, reproductive processes, immune response and anti-oxidisation. Sportsmen or woman who wants to reach the peak of physical performance. People in intellectually demanding stressful jobs. Students studying for exams that requires mental clarity and thinking with a clear mind. Prevention is better than cure and with hair, mineral analysis you have a tool that is a validated technique for; checking samples of hair for elements and help you to plan and take steps to improve or restore your health. You can begin to appreciate the advantages of proper scientific nutritional support. Balancing minerals is an ongoing process that you can undertake before you become sick or ill. You can start today and discover how you can take control of your health. What is included with the hair test? As well as a suggested, nutritional supplements course (if required). The analytical research, labs report also contains two pages of charts. Discussion and support from our nutritionist (via email) is included. Referring to the high/low ratios of a list of 37 separate elements is easy. The unit of measurement is in ten parts per million (ppm). Don’t forget you can view or download a sample Hair-Analysis.pdf to preview the patient written report. Get an insight and preview into the state of your overall health, it only takes a second and is step 1 to understanding your bodies biochemistry. Are you nutrient deficient? How to find out! You can take a hair sample from the back of the head and send it to a hair tissue mineral analysis (HTMA) laboratory for analysis. How do I conduct the test? The mineral test kits, all include detailed, easy to read instructions; you can also watch this short video below. Here’s how to cut hair for a hair mineral analysis. Cut new growth hair from the nape of the neck and back of the head (not just the tip). We request that you please cut hair from as close to the scalp as possible. Only the hair up to (2 to 4cm) ~ 0.78″ to 1.57″ from the scalp is acceptable for use. A small amount of hair is all that is required to perform the test. About 0.15 grams of hair is required for analysis. Approximately half a heaped tablespoon full. Short, medium-length or long hair is suitable. Avoid use of anti-dandruff shampoo for 2 weeks before the test if possible (as it can lead to an elevated zinc levels). A device is included with the test kits to measure the amount of hair required. What happens after I order the mineral tests? 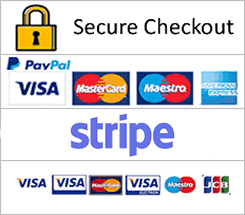 After payment, we will send the documents and forms required. There is no registration required or need to make an appointment for the health test. It requires no technical skill to obtain a sample. The hair mineral analysis-sampling procedure is easy, you don't have to go anywhere to get this carried out, you can do it at home. There are no additional charges (Free shipping and handling via Royal Mail next day delivery). After a hair samples for each person is taken, send them to the nutritional analysis laboratory for processing by the clinicians via the UK pre-paid postal envelope supplied. You can trust us and have our assurance that customer service is a priority. We focus on dispatching orders quickly, usually within 24 hours. Just fill out your details in the request form. After the request form and sample are returned to the lab, it normally takes up to 2 weeks to process and return the results to you. Purchase your test kits today from a reputable service provider, the preferred choice for successful companies and individuals. The tests are suitable for use by adults and children. Doctors, nurses or private clinician appointments are not required to use the tests. Knowledgeable, professional staff, excellent service, customer care and support. We are a leading supplier of medical tests on the web. Voted by our clients as the highest quality "hair mineral analysis" service. What’s the purpose of a test for minerals? A test that expresses the amounts of various minerals (as described by this practical test), due to the fact a series of chemical reactions within our bodies cells rely on the sufficient quantity of specific nutrients being available. Vitamins, you can assess levels of vitamins: A, B12, B2, B3, B6, C, D, E (we offer a total range) the functional objective of tests available for vitamins and minerals is to take measurements and reach and establish enhanced cell functioning by regulating and governing your body chemistry with specific single and multi-vitamins, synergistic minerals and nutrient supplement therapy. Antioxidant report- vitamins and minerals, this report also investigates the levels of the important antioxidants (such as Vitamin E, copper, selenium) for example. Analysis of the hair reveals these nutrient elements: Calcium, Magnesium (utilised in protein synthesis), Sodium, Potassium, Copper, Zinc (utilised in muscle growth), Phosphorus, Iron, Manganese, Chromium, Selenium, Boron, Cobalt, Molybdenum, Sulphur, all essential elements needed by our body to function. 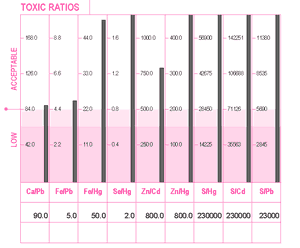 A hair mineral analysis chart shows you if you have elevated or depleted levels of these minerals. Imbalances in minerals can contribute to serious medical conditions in some people, such as adrenal dysfunction and copper dysregulation. Positive reasons the hair is tested with a kit include; it’s potential to measure changes in a range of biologically essential elements and analyse, and alert you to dangers; excessive quantities of minerals can also build up, leading to difficulties in excreting them fast enough. Minerals are required in the right combination and ratio. Recently bleached, permed, hair dye, coloured (Hair coloured with henna is OK) or treated hair may affect the outcome of the test, so it’s not suitable so, please make sure it is not included in the required laboratory sample. Alternatively, ensure that a period of at least 8 weeks since colouring or treating the hair has passed before taking the test. You can still purchase the test now and return it any time in the future, for processing. Our modern lifestyle exposes us to ever-increasing levels of toxic substances and pollution (more now than ever in recorded history). By detoxing, we can increase our vitality and health. Hair mineral analysis is a toxicology screen for metals, including high levels of Antimony, Uranium, Arsenic, Beryllium, Mercury (eating fish being a source, copper and Mercury compounds in amalgam dental fillings), Cadmium, Lead and Aluminium (linked to Parkinson’s, Alzheimer’s and dementia), all detectable in hair strands. It has advantages over other types of tests (none can) reveal all your heavy metals toxicities. This method (HTMA) is an extremely effective gauge of toxicity and can be helpful in tracking your detoxification progress of these harmful elements. Many undetected metal toxicities may be stored where they’re not supposed to be, in our internal organs, bones and brains; however, over time once they are mobilised in our system when performing a body detox, they are expressed in a hair tissue sample, you can check for exposure to substances that contain high levels of trace and toxic elements. Heavy metal toxicity can therefore be biologically monitored over a long time by performing HTMA coupled with a detoxification program. Removing toxins can help protect against damage from free radicals in the body. Toxic metals can be responsible for body chemistry imbalances, can create a great deal of medical problems and have a major negative impact on your general health. Importantly, this procedure tests, hair for signs of harmful materials. You can check yourself for exposure to substances that contain high levels of trace elements with a hair test every three-month period or once per year. Geographic location may well have an influence on your exposure. The test additionally measures rare trace elements like nickel, vanadium and zirconium as well. Click this link to see a complete list of the harmful elements checked for that this hair analysis chart is showing. Toxic metals can leach into the body and cause, be indicative of, involved in or responsible for a variety of undesirable symptoms and severe chronic conditions, based on this fact alone, it may well be concluded that hair mineral analysis is worthwhile. What are the causes of mineral imbalances? There are a lot of influencing factors mentioned that can lead to or cause mineral deficiencies and imbalances. A number of minerals are elemental for us to function and it is necessary that the correct quantities are present in our bodies. People who consume a poor diet may require a source of supplementation and nutrient therapy to stay healthy. Following an unhealthy lifestyle, lack of exercise, smoking cigarettes, drinking alcohol or lack of sleep. Eating food grown in poor soil that is void of natural minerals due to the overuse of fertilisers and modern agricultural practices or incorrectly storing food. GM crops, the use of pesticides, over refined produce and food made with additives are just some of the reasons we no longer consume a nutrient-rich diet. Water, our drinking water is treated with fluoride, and other additives that can cause toxicity in the water supply that reduces or depletes minerals from the water, natural spring water is usually richer in trace elements. Infections can place stress on the body and lead to depletion in minerals in the gut. Toxic chemicals used in household products and in industry can interfere with the body’s ability to absorb minerals. Is hair mineral analysis an accurate testing method? The effectiveness and validity of hair mineral analysis for showing mineral and element levels; it is an approach that has been proven to be an extremely accurate and validated technique, however, this accurate and valid test’s ability to make predictions is actually overlooked and misinterpreted sometimes. It is a worthwhile test for researchers and physicians, but is dependent on the lab being accurate; you are reliant on the labs correct interpretation of the results. Furthermore, research into the science: hair mineral analysis has been ongoing for over 40 years, becoming ever more accurate, using modern methods and improved HTMA procedures the accuracy of laboratories has increased and consequently so has the doctor’s data for practitioners. An important subject often discussed related to a hair test, is whether it’s accurate; is really regarding whether the lab washes the hair. Critics do not differentiate between procedures that will produce different results if this fact is not taken into account. Hair mineral analysis is very accurate and considered a valid tool, so long as the lab does not wash the hair, as when washed this removes some of the minerals (standard laboratory procedure). It is important that the hair testing procedure is conducted by reputable labs who do not wash the hair prior to performing the test (as this can wash away some of the minerals) for it to work. Hair samples are sent to Trace Elements Inc. (Licenced laboratory) who also commercially manufacture technologically advanced specialised nutritional substances. Founded by DR. David Watts the eminent leading proponent of the scientific procedure and premier hair mineral testing company. Metabolic dysfunctions, study of trace mineral deficiencies, excesses, their interconnectedness and relationship to illness have been the subject of tissue mineral analysis for several experts for quite a few years. Other proponents working on related concepts in this field of research include – Dr George Watson and his study of oxidation, Dr. Melvin Page and his work on the sympathetic and the parasympathetic nervous system, Dr. William Albrecht’s work on mineral balancing programs and Dr. Hans Selve who has worked on the influences of stress hormone cortisol. Why test hair vs a sweat, saliva, blood or urine test? Hair is used instead of sweat, saliva, blood or urine because after several months, minerals and toxins can build up in the hair as it grows. In contrast, hair offers you a reading over an extended period of time, in comparison to sweat, saliva, urine, and blood tests that offer an immediate reading of the state of your body. For example, the time of day, if are active or not and if you have eaten can all influence urine or blood test results. Each method has its values and merits; variation in the values of blood and urine tests for people is normal and extremely useful in some cases, but what about measuring elements in hair are these tests reliable? For people seeking a long-term reading of their metabolic state, hair mineral analysis is reliable for these purposes, it is more reliably used to determine toxicity and as an indicator, it can provide helpful and meaningful results. Check for minerals and toxic metals deposited in the interstitial spaces and cells of hair strands. Other disciplines also use mass spectrometry instruments, including DNA, drug clinics, forensic medicine and the detection of toxic metals in pet animal fur, dogs and horses. What are the reasons for taking vitamin and mineral supplements? The reasons for taking mineral supplements include their involvement in enzyme reactions within your body, fuelled by essential vitamins and minerals. Why profile vitamins and minerals? Health is known to be influenced by mineral ratios and their intake through specialised supplementation or diet is essential for life. Numerous health care issues can be addressed and have a basis in mineral balances. Replenishing minerals can help correct health problems or prevent them manifesting due to inadequate quantities. Minerals are essential for the functions of the body's organs and soft tissues. Unfortunately, an overload of some minerals can cause them to be stored in the body, causing problems and require detoxing; others need to be replenished regularly, as they are not easily retained. Excretion of the excesses of some minerals is needed when the body does not necessarily need or cannot use them. The absorption of one mineral can be blocked by excess of another mineral, obtaining optimum mineral ratios requires skill and can be assisted by the test. Why spend money on dietary supplements if you don't know if they are effective? You can find out with a mineral check. Nutrient deficiency test to avoid imbalances, the purpose of the hair tests is to provide a blueprint that a person can follow to establish if they are suffering from overall nutrient imbalances with a simple test. Allows you to determine if bad metal toxins are present in your body. A simple test for detecting toxicity in a hair follicle that leads to benefits not previously possible. Understanding and identifying the hundreds and thousands of complex interactions of minerals to maintain homeostatic equilibrium is vital for perfect health. Click here to see full details about the composition of the supplements (opens in new tab). A range of supporting vitamin, mineral, metabolic and adrenal nutritional supplements is also available; you can order hair mineral analysis online by post, from our website. Hair can be tested because it is one of the places that stores up deposits of elements. Learning from the evidence presented is easy. You can read about it in the reference material relating to toxic metal and mineral analysis published in high quality, respected medical journals and publications by leading authors. Environmental exposure and absorption of chemicals that contain hidden metals can build-up over time and lead to bioaccumulation within the brain, organs and tissues. Poisoning and contamination from toxic elements and their impact are often in the news; they have been shown to have serious implications for your health. Hair analysis, independent peer-reviewed medical papers and health surveys conducted by biochemists have concluded that a possible correlation has been found between elements in hair samples and your health. Perhaps you are suspicious and suspect you may be deficient in some vitamin or mineral, we always suggest you speak with your doctor. Academic papers and the latest news and media stories relating to the nutritional and toxic element profile test are referred to below. Research, how do you choose? A real person explains why they have become a proponent. I would like you to consider the views of academics, to help you to evaluate if this complementary procedure is right for you. This body study "showed reduced hair mineral concentrations in young girls with a more unhealthy metabolic profile. Positive associations were observed between some minerals and BMI and BF%"  (body fat). Zinc deficiency can result in serious clinical problems with relation to the gastrointestinal (GI) system and can affect healthy growth and development in children. There may be a connection with other deteriorating health problems, issues, medical conditions and allergies in relation to mineral levels in hair and toxins not listed here. We do not want to make wrong and controversial statements, obviously, we do not say the test kit is a way to heal you, eliminate acute pain. Nor make amazing false claims or improper statements about the huge progress you will make (read our T's and C's disclaimer). We do ask you to consider the research, educate yourself by looking at the wealth of literature, press and books about the applications of tissue mineral analysis. How does it work before you take action or make any choices or decisions? We also recommend you investigate the wide-ranging beneficial aspects of similar holistic complementary health practices (commercial hair analysis is not a unit of alternative medicine) and herbal medicines so you have first-hand experience of their benefits and how they work. Question. Do you know where I can find the location of the link to get a hair analysis test; can you tell me where I should go? Answer. To get this done, you can please simply Click here. Cost. What does hair analysis hTMA cost? The cost of the hair mineral analysis is £52.50 to £69.00, payable via the website shop. Each client can pay for as many follow up tests as they want, available at a discount. If you’ve bought a reliable Hair Mineral Analysis Test by trace elements from us, you can get a retest with a little off, if you mention this in an email to us. Tests for more than just minerals, when you submit a sample of hair for testing, the test can also help you save money, as you can be more specific about the supplements you take. When you average it out you end up spending less and gaining the most nutritional value. Where it was possible, due to improvements of overall health, some clients have ended up saving money on healthcare. We only ever recommend brands or products that we have personally tried, tested and liked; we would never support a brand that does not share our principles or ethics. If you feel run down, you might rely on drinking coffee for a caffeine hit. Alternatively, perhaps rely on sleeping pills, prescription, illicit drugs or drinking alcohol to unwind. Intelligent people know that using such products have a negative impact on our natural biochemistry, causing all sorts of biochemical imbalances. This is the incorrect way to influence our biochemistry, controlling it like this can cause all sorts of unpleasant health problems. You can experience the advantages of balancing biochemistry, a skill that can be perfected using hair mineral profiling. The smartest way of controlling our biochemistry is by regulating energy with minerals, with the assistance of HTMA. By simply controlling our nutritional intake and diet, taking the right types of supplements and other natural remedies, to assist our bodies in detoxifying and reducing the harm of an unhealthy lifestyle. You will increase your ability to concentrate, feel full of vitality, and help to regulate your metabolic rate to reduce your weight, feel more relaxed and less stressed. Rational people who want to experience top mental and physical functioning, such as people who run their own business, people who exercise regularly, those who want or need to be on top of their game. The highly active who enjoy being full of vitality, leading experts and perceptive people, appreciate the benefits of good nutrition and its ability to have an impact on their day to day functions. If you can perfectly balance your biochemistry with the help of HTMA, you can enjoy your life to the max and increase your health and vitality. So are you interested in taking the test, well how do you go about getting one? Hair analysis is done by collecting a hair sample and posting it to a laboratory. The test is done on the hair after you submit your sample of hair. All you have to do is fill out the request form. Note: The profile report is available for downloading in an Adobe .pdf format and delivered to you via email. If you have a printer, you can make a copy of the sample profiles for referral and make notes. You can download adobe reader for free to read this .pdf report on your computer. After the mineral test is conducted, the advantages and benefits of the mineral test and its importance in understanding nutrition status cannot be understated; it will be self-evident when you view the report. After the data from the test is returned to you: If you have questions about the results of your hair analysis, our qualified nutritionist who's looked at 1000’s of tests will be available to advise you. This is helpful as they can help explain the information in the report, they can also answer frequently asked questions. Based on the guidelines outlined in the test, with the right range of supplements you can support a natural food diet. The test is ideal for those already consulting a nutritionist, naturopath or health care professional. A hair mineral check will provide invaluable facts to help them with food intolerance, adrenal fatigue or an allergy. We have the status of being trusted by certified and accredited nutritionists. Measuring minerals and vitamins and check mineral imbalances. Find out more about the specifications and features of the tests. If there is anything you do not understand or you have any, other questions about the nutritional test, we are happy to provide you with any more information you need. Please click here to email us and request more info, alternatively give us a call, our friendly staff will be more than happy to help you. Please speak to a doctor from your local surgery for a consultation if you have any concerns before using the tests. Taking medicine or have any pre-existing medical problems? If using hair mineral analysis please reach out to the NHS.